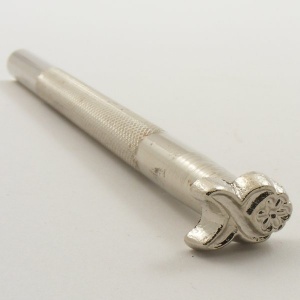 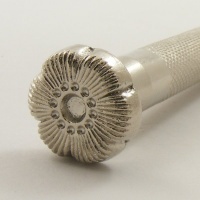 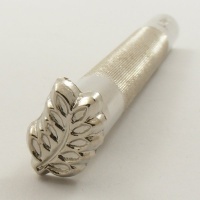 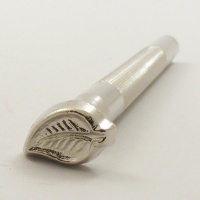 This is a small decorative leather embossing stamp featuring a small scroll and flower. 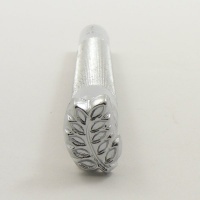 This is a repeatable stamp which can be used to make a repeating border pattern on your leather craft project. 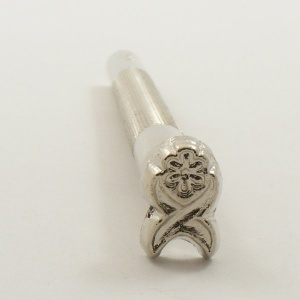 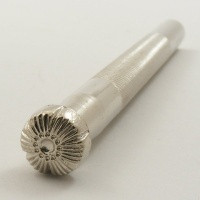 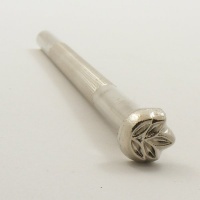 It measures just under 5/8" (15mm) long from end to end and 3/8" (10mm) wide at it's widest point.